Open Access to an existing database or a Blank desktop database. Click File, Options, Trust Center, Trust Center Settings, Macro Settings, Enable all macros, OK, OK. 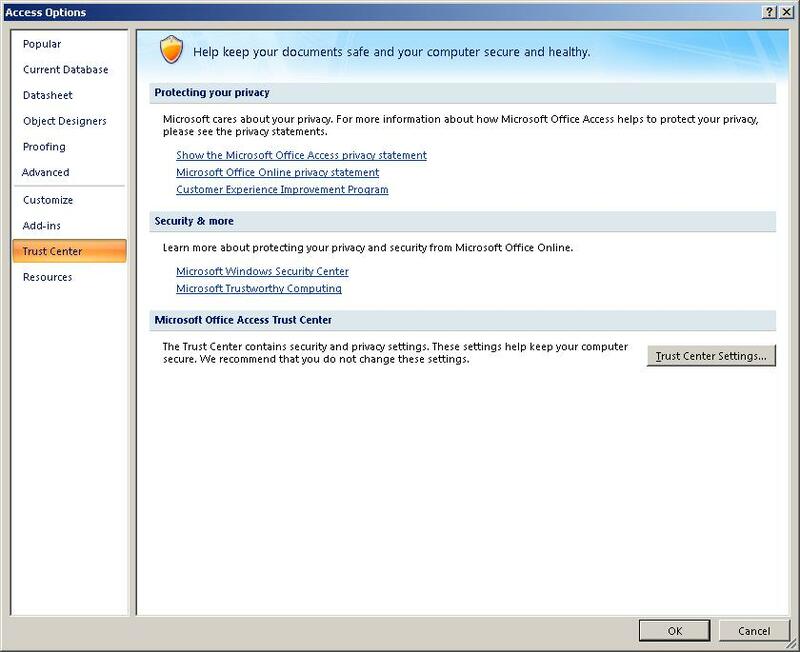 Screens look similar to Access 2010 below. 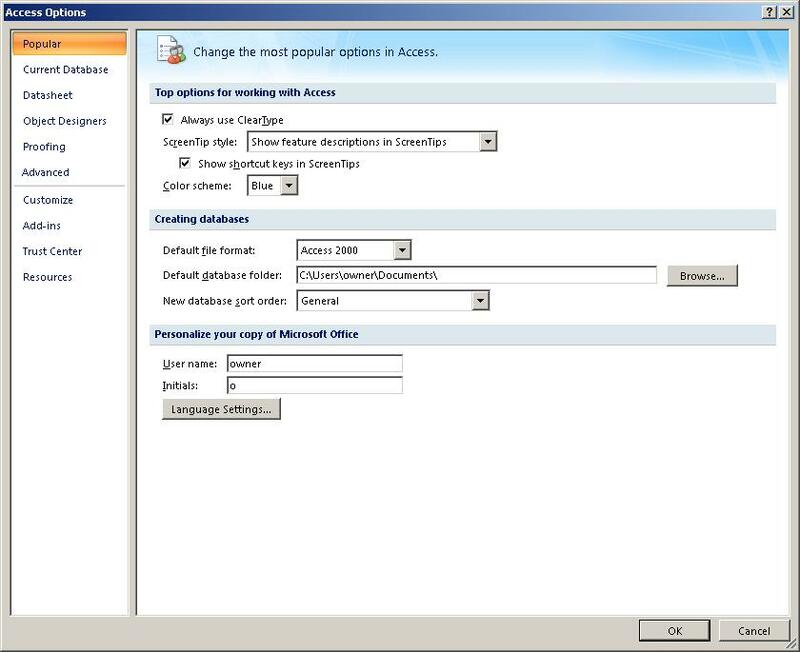 If you get an error when opening the database for the first time in Access 2003, 2007 or 2010, make sure you have enabled Macros. 1. Start Microsoft Access 2010 from the Start menu. 2. Click File in the upper left corner of the screen. 3. Click Options in the lower left corner of the screen. 4. Click Trust Center on the left side of the screen. 5. Click Trust Center Settings halfway down on the right side of the screen. 6. Click Macro Settings on the left side of the screen. 7. 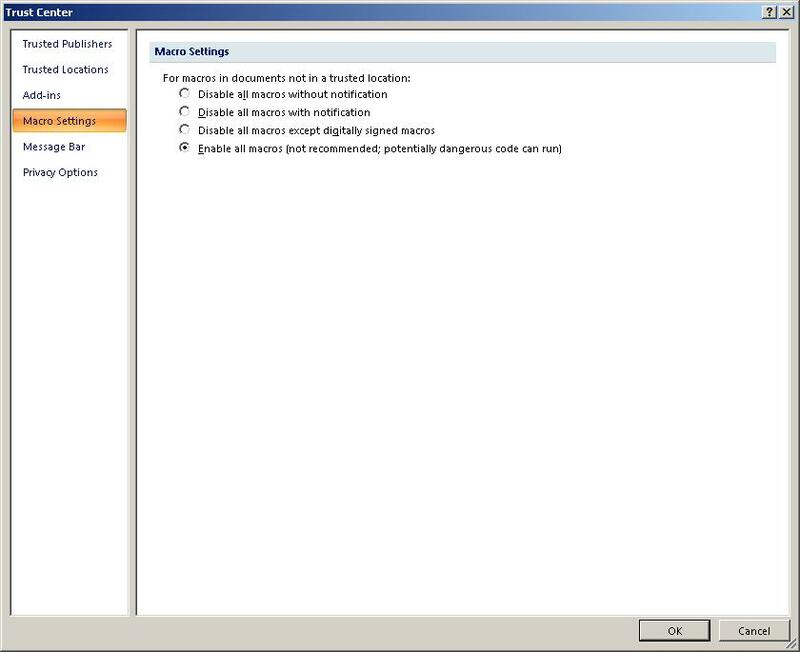 Select the Enable All Macros option and click OK. 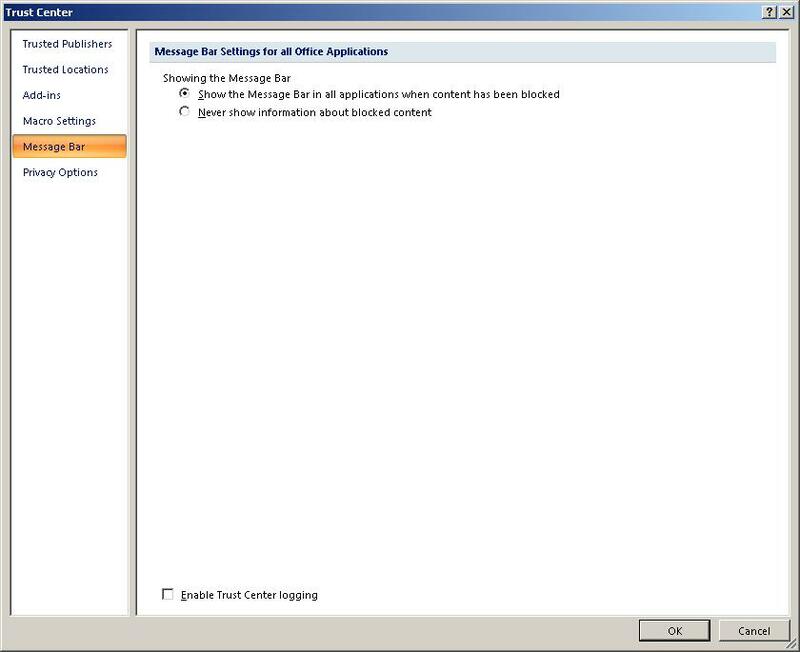 If you get an error when opening the database for the first time in Access 2003 or 2007, make sure you have enabled Macros. 1. Start Microsoft Access 2007 from the Start menu. 2. Click the Office button in the upper left corner of the screen. 3. Click Access Options in the lower right corner of the screen.